Following the announcement that Whitbread, the owner of the Costa Coffee chain and Premier Inn hotels, has seen pre-tax profits rise to £546.3m (up about 12% from last year), Underscore looks at how consistent delivery of a brand promise can be the key to success. Despite a period of change for the group, which has seen substantial reconfiguration of senior staff, Whitbread’s brands seem to be going from strength-to-strength. In a BBC interview earlier this week, new chief executive Alison Brittain said the results reflected a “successful” year that demonstrated “the strength of our businesses”. When asked whether the rise in the national living wage would see increased coffee prices orcuts from their front-of-house staff, Ms Brittain insisted that Whitbread did not need to raise coffee prices to fund improved pay for staff and increased investment in IT infrastructure. “I think there are other ways of us achieving this,” she told the BBC, insisting that it is “really important” to continue to offer “a lower price point for coffee than our competitors”. She stated that customer service, as well as offering a competitively priced product, was the foremost initiative behind the brand, whilst offering customers good value for money. If we look at their business model, Costa Coffee has been aggressively expanding. The company has already installed 5,000+ stand-alone coffee machines, and is planning roughly another 3,000, while also expanding its franchises in the 24 countries where it currently operates. The ‘Costa coffee on the go’ strategy has seen to it that ‘wherever you’re going, you can take the great taste of Costa coffee with you’. The secret to their success is, we believe, the consistent delivery of their brand promise: that the bars always use the same beans and fresh milk found at their conventional coffee shops. This ensures their customers know exactly what they’re getting: satisfaction guaranteed. Paired with convenience, implemented as a result of their cross-channel marketing. 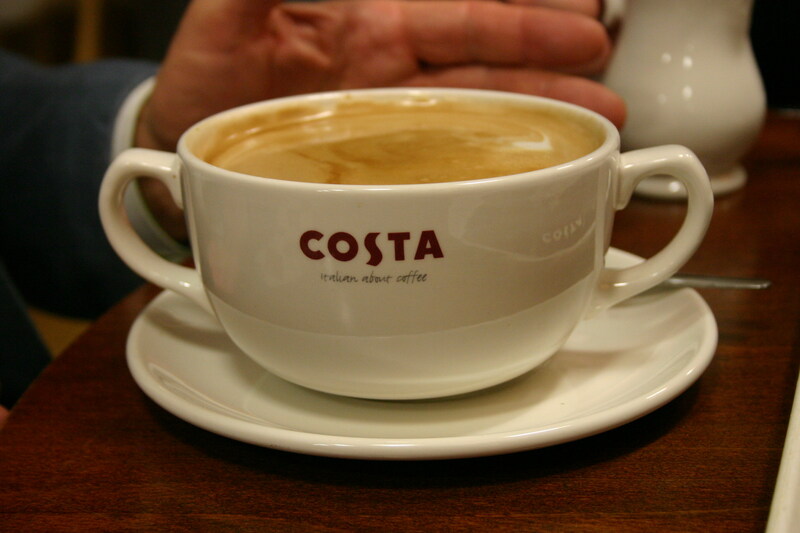 The results: underlying profits at Costa rose £21m to £153.5m, despite coffee sales growing less than analysts expected. The company also wants to expand its Premier Inn chain further, and is targeting about 85,000 rooms by 2020. When asked whether they were concerned about accommodation provider Airbnb, Brittain admitted paying extremely close attention to their rivals, ensuring that their own Premier Inn offering remains a consistently high standard, ensuring guests experience a great night’s sleep, guaranteed and at a good price. Once again reiterating that delivering on your brand promise ensures customers receive the same consistent experience, whenever and wherever they come into contact with your brand.